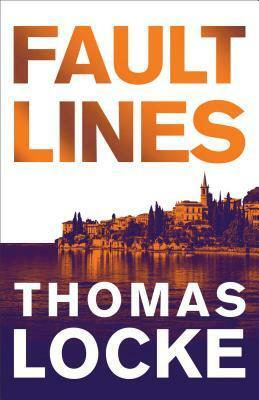 Fault Lines was my first foray into Thomas Locke’s writing. While science fiction is not my normal reading pleasure, I was intrigued and fascinated by this story line. The narrative began a bit slowly for me, but it steadily gained momentum with each turn of the page. Thomas Locke blends science and technology in a techno-thriller that is sure to engage and entertain fans of the genre. I enjoyed this cleverly crafted tale and look forward to reading more of the Fault Lines series. As a security expert, Charlie Hazard is all about taking control of the situation. But when the stunning Dr. Gabriella Speciale draws him into a secret psychological project, risk parameters are shattered. Every move brings him to the edge of one fault line after another, and Charlie struggles to stay clear of a maelstrom of entangled dangers. The research team abandons the lab on the Florida coast and flees to a mountain refuge in Italy. The battles in Charlie’s mind are overtaken by real life attacks. He must grapple with the daunting realization that a conspiracy is taking hold on both internal and external levels. Can Gabriella be trusted, or is she just part of the scheme? Leave behind your assumptions about the way the world works, and race along the unknown corridors of human consciousness in Fault Lines.